The answer is: of course! 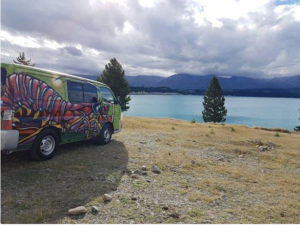 Campervans are specially equipped to keep you secure and comfortable during your trip around this beautiful country. 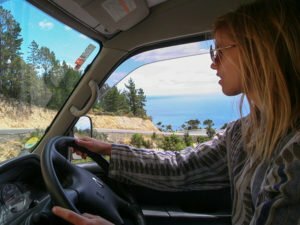 And if the increasing number of campervan travellers is any indication, sleeping in a campervan is not only safe, it’s also one of the best ways to enjoy New Zealand. 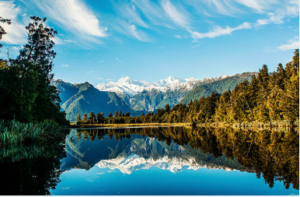 One of the best things about travelling in New Zealand is that the country enjoys a relatively low crime and corruption rate. It’s got strictly enforced gun laws, an impressive safety index and is considered one of the safest countries for women to travel solo. While you still have to remain vigilant and follow safety precautions when sleeping in your campervan (lock your doors, please! ), you can rest easy knowing that there won’t be a shooting or riot breaking out randomly while you snooze. Another great thing about spending the night in a campervan is that there are lots of secure campsites that cater to campervans. You don’t have to fear sleeping in a dark, remote area when campervanning. There are holiday parks where you can use facilities like charging stations, kitchens, and laundries for a fee. You can also spend the night at designated campsites. 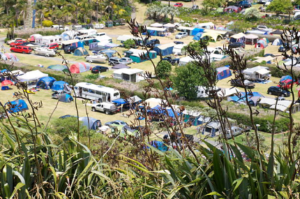 Whichever place you choose, sleeping in your campervan rental won’t be a hassle in NZ. As mentioned earlier, campervans are specially equipped to let you sleep soundly. Most budget camper rentals are outfitted with queen-sized mattresses and beddings to keep you comfy throughout the night. Campervan windows often have curtains or are tinted to allow privacy. 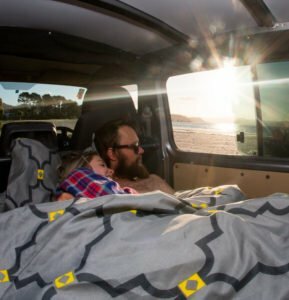 Other campervans even come with their own smoke and carbon monoxide alarms and detectors, so you don’t have to worry about those kinds of hazards while catching some Zs. Campervans allow you to have the best of both worlds: you can enjoy nature and have modern comforts at the same time. It’s like your home away from home! Sleeping in a cozy campervan means you don’t have to spend the night in a soggy or cold tent floor in case it rains or snows. Don’t like bugs? Sleeping in a campervan prevents bugs and other critters from crawling up on you at night. Too hot or too cold? You can adjust the campervan’s temperature to your liking. You don’t have to worry about bringing too many pillows, either, since those are provided by most rental companies and can easily be stowed away within the campervan. Secure your belongings before calling it a day. Make sure the windows are secured and your doors are locked.